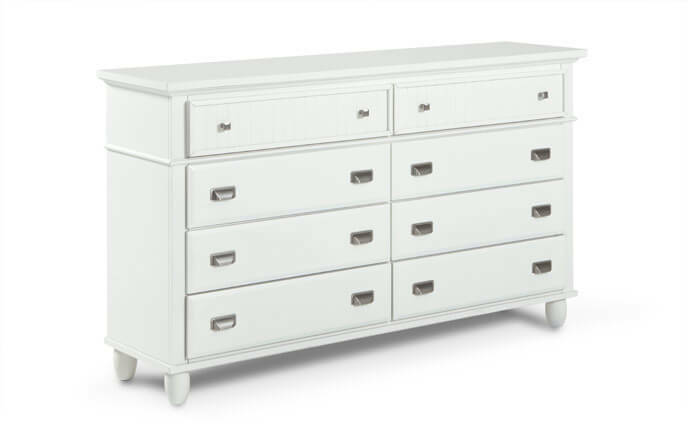 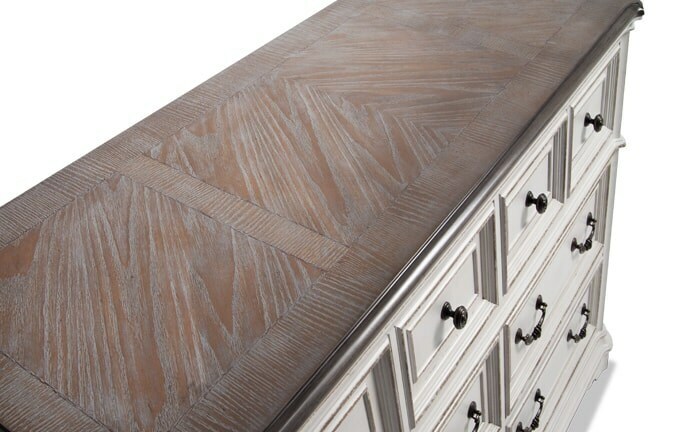 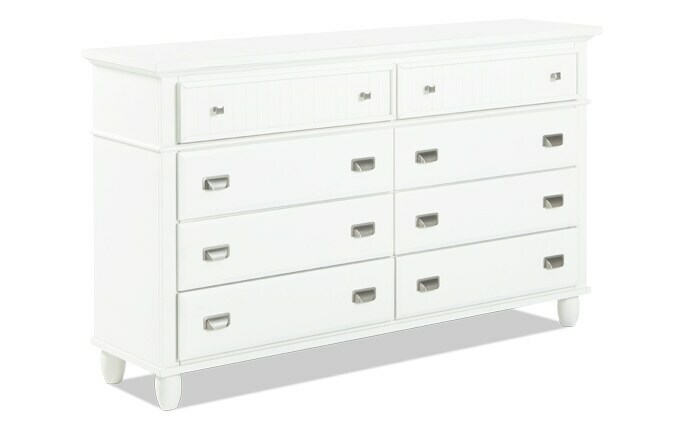 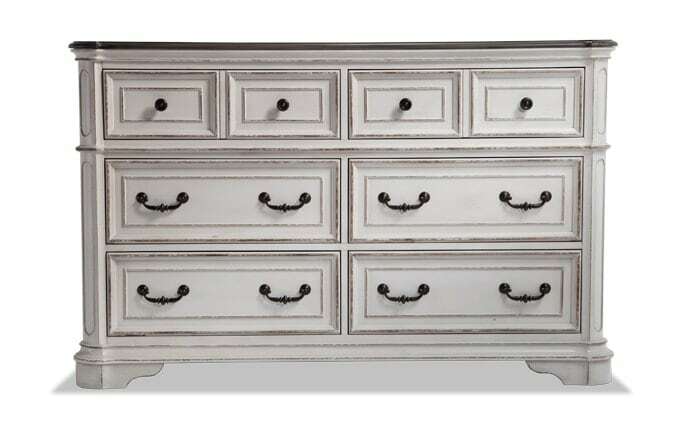 My Celeste Dresser has tons of graceful appeal! 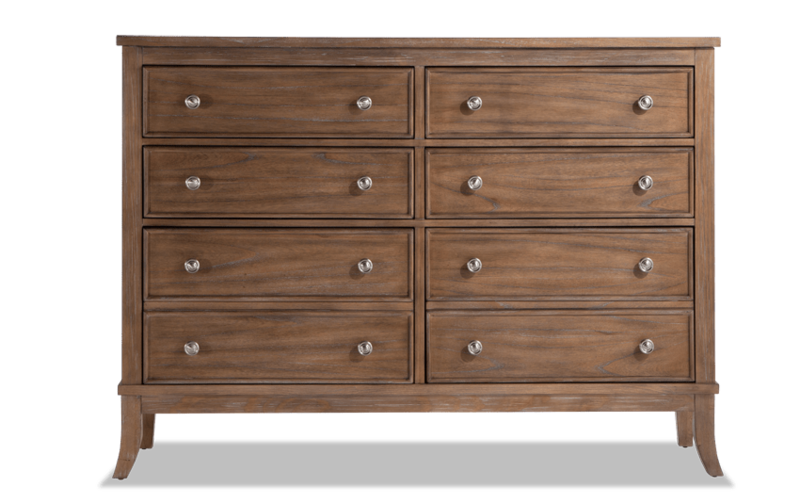 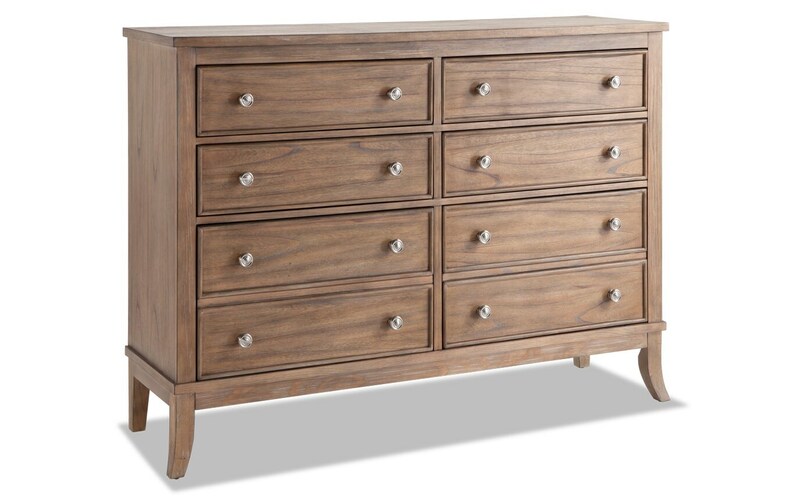 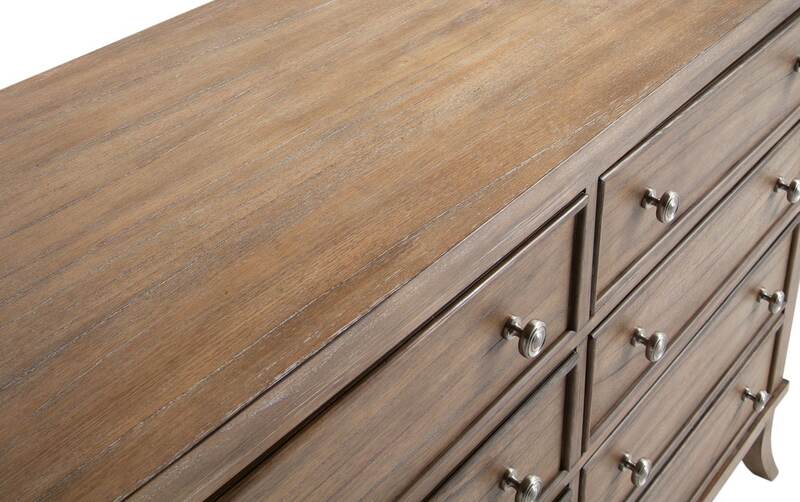 Constructed of pine solids and rubberwood, this dresser has a lovely, washed natural finish. 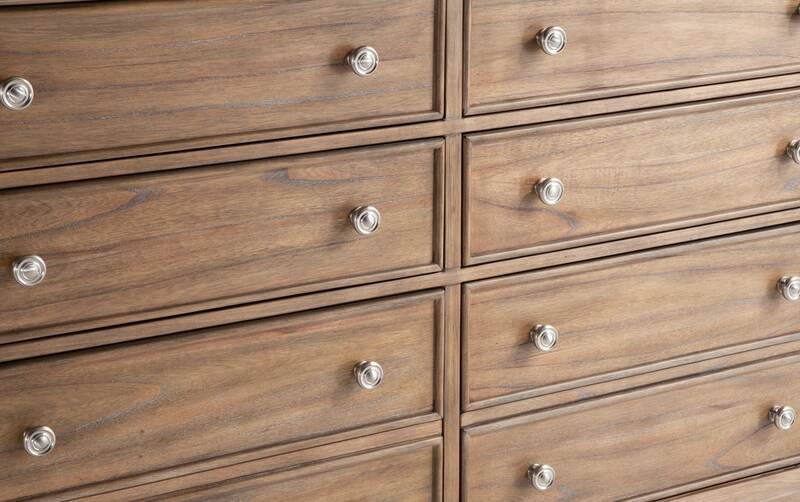 My favorite detail is the contrast of the brushed nickel knobs against the subtle finish- it's simply beautiful! 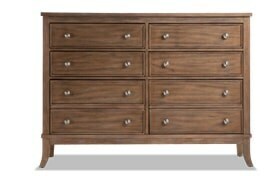 And good news- this dresser isn't just for staring at. 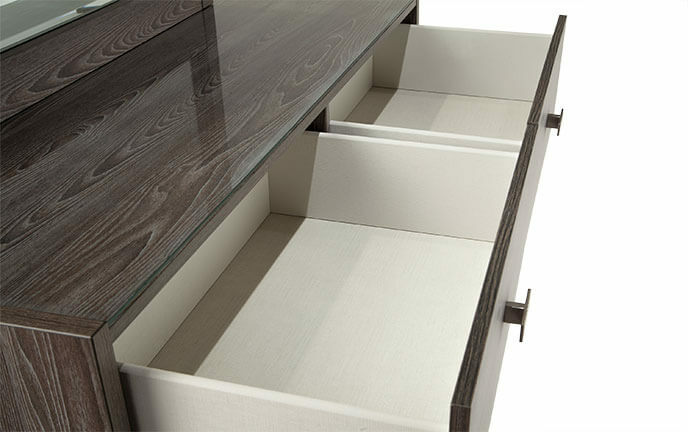 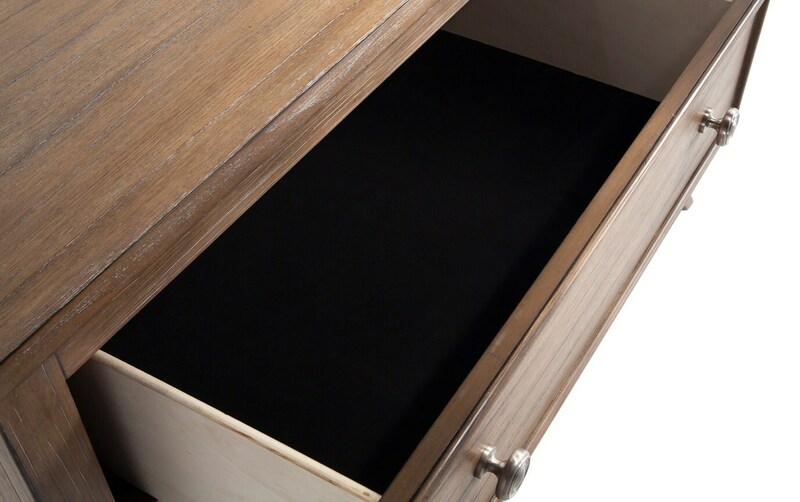 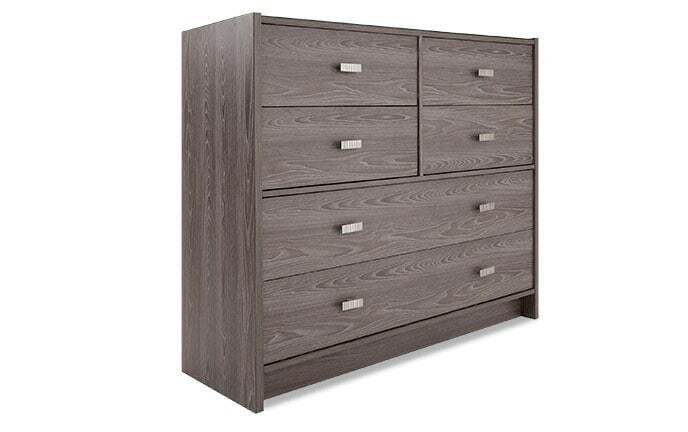 It also contains plenty of drawers to store your clothing. 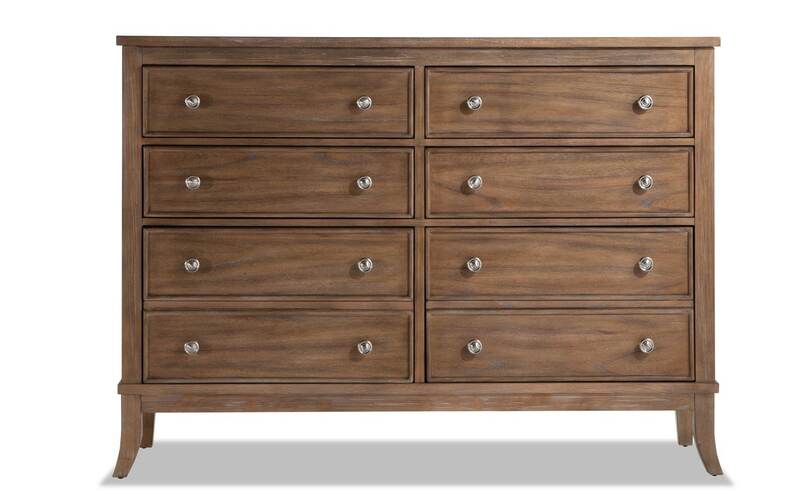 Beauty on the outside is great and all, but it's what inside that counts!